In the United States, about 20,000 women are diagnosed with ovarian cancer each year, and in the world, the disease is the fifth leading cause of cancer death among women. Aedin Cassidy, of the University of East Anglia (UK), and colleagues analyzed data collected on 171 940 subjects enrolled in the 'Health Study and the Nurses' and 'Nurses Health Study II', to understand the associations between intake of total flavonoids and their subclasses (flavanones, flavonols, anthocyanins, flavan-3-ols, flavones and flavonoids polymer) and ovarian cancer risk. Data were collected every 4 years. During the 16-22 years of follow-up, there were 723 cases of ovarian cancer, confirmed through medical records. The analysis of the data revealed that participants who consumed foods and beverages high in flavonols (found in tea, red wine, apples and grapes) and flavanones (found in citrus fruits and juices) were less likely to developing the disease. In particular, only a couple of cups of black tea daily were associated with a 31% reduction in risk. 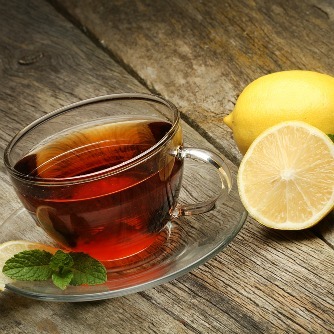 The study authors conclude that: "More assumptions of flavonols and flavanones, such as the consumption of black tea, may be associated with a lower risk of ovarian cancer."